While I was back in The Hague, I came across this building with a pattern laid in the brickwork while walking home, which reminded me of this fantastic building with the geometric patterns on the corner of Hill Street and Dalhousie Street in Glasgow. 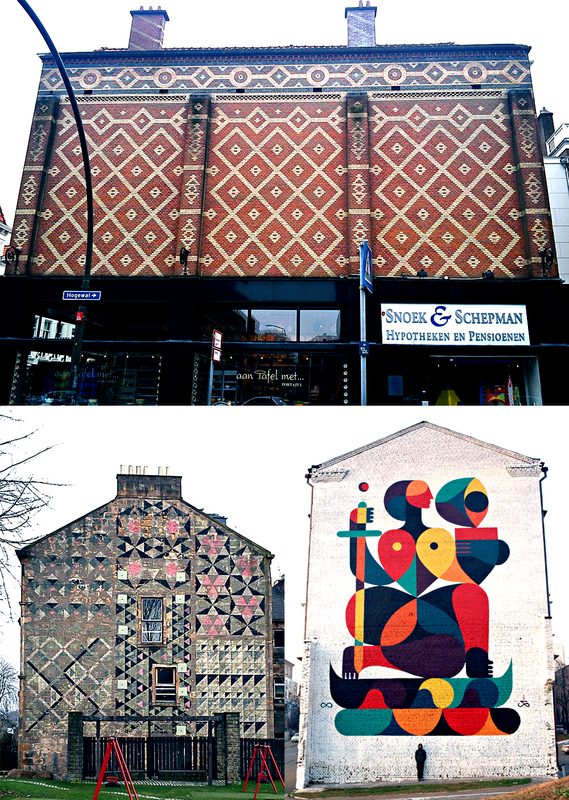 Later I came across this mural by Guilo Remed via Nerdski. Good things come in threes?